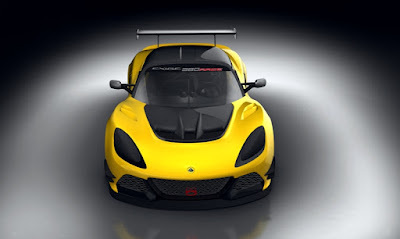 Unapologetic, uncompromising and built to win, Lotus has announced the development of the mighty Exige Race 380 - the track-only sibling of what has been hailed as one of the marque’s most significant and sensational cars, the critically acclaimed Exige Sport 380. Taking one of the world’s best supercars, the Exige Sport 380, the new model provides the ultimate in race-bred engineering and comes with a host of competition-focused components as standard. In keeping with its name, the new Exige Race 380 includes a wide range of competition-orientated options as standard, covering everything from drivetrain to driver information system – all designed to increase the car’s capabilities. Developed to be eligible for the world-wide Lotus Cup series and a number of clubman championships, this race car is every inch a winner. 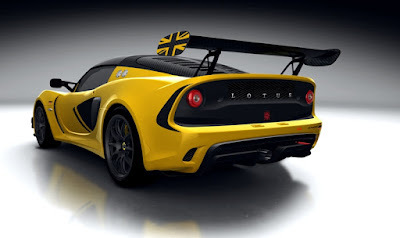 Retaining the race-proven 3.5-litre supercharged V6 engine, the Exige Race 380 boasts 375 hp at 6,700 rpm and 410 Nm (302 lbft) of torque at 5,000 rpm. However, in order to extract every ounce of performance, the car comes with an Xtrac 6-speed sequential transmission, oil cooler, and cassette-type plate limited slip differential, and is operated by carbon paddles located behind the steering wheel. Opting for the full exhaust system in titanium removes a further 10 kg from beyond the rear axle. Extremely quick off the line, the Exige Race 380 sprints from 0-60 in just 3.2 secs, and laps the Hethel track in an outstanding 1 minute 23.5 seconds - the fastest ever for an Exige. Generating even more downforce from the car’s aerodynamics, the Race 380 produces a phenomenal 240 kg at 170 mph, thanks to some careful revisions. Vents are incorporated into the front bodywork and rear bumper to reduce pressure around the wheels and increase downforce; and a grille mounted at the rear aids air circulation through the engine bay. A new front splitter reduces pressure beneath the Exige, whilst the rear diffuser and larger and a straight-cut motorsport rear wing mounted to the bodywork helps modify airflow at the rear of the car. 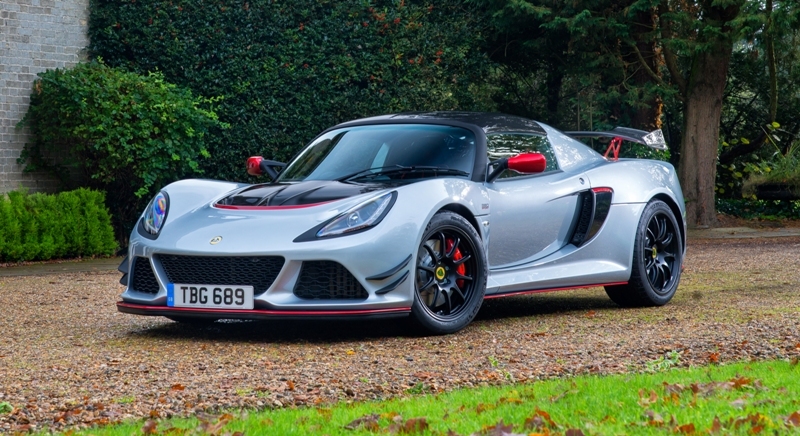 Helping the Exige exploit its performance, the Race 380 employs Michelin Pilot Sport Cup 2 tyres as standard (wider 215/45 ZR17 at the front; 265/35 ZR18 at the rear), renowned for their predictable handling and high grip, which are complemented by the car’s ultra-lightweight forged alloy wheels. The same attention to detail has been applied to the brakes, with AP Racing forged, four-piston calipers and grooved two-piece brake disc providing the stopping power. The Exige has long set the benchmark for handling and, to ensure it remains perfectly poised and agile, the Race 380 uses a revised suspension configuration, incorporating 2-way adjustable Öhlins dampers and adjustable front and rear anti-roll bars. This, together with the Lotus Traction Control System, where the amount of wheel slip can be adjusted by the driver from the cockpit, allows owners to fine tune the vehicle’s handling characteristics. 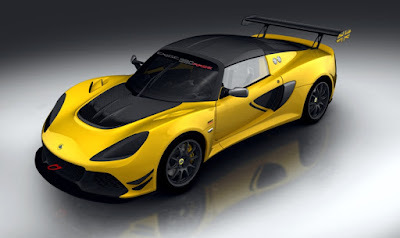 The Exige Race 380 features a full, integrated roll cage, lightweight FIA Carbon driver seat (HANS compatible) and a six-point harness, as well as ultra-lightweight polycarbonate side windows, competition specification fire extinguisher, battery isolator and front and rear motorsport towing eyes. 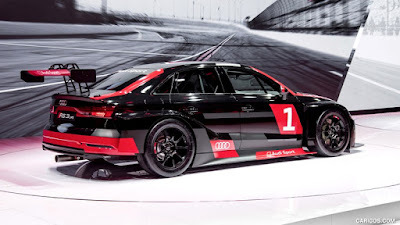 An ultra-lightweight carbon-fiber motorsport specific louvered tailgate panel is fitted over the engine and carbon-fiber air intake pods are fitted to either side of the car forward of the rear wheels. 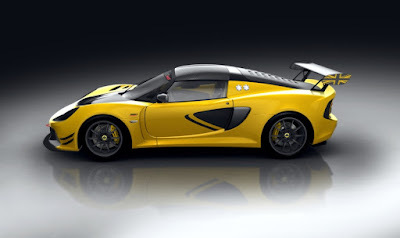 As with other race cars in the Lotus range, headlamps are replaced by matte black covers and airbags are not included in the specification. Helping the driver stay on pace, the new Exige Race 380’s color TFT instrument cluster offers numerous user customize-able and programmable screen configurations. Incorporating a track data logger and GPS unit, owners have the opportunity to upgrade this logger with professional data analysis software. As well as being designed to win, the Exige Race 380 looks exceptional and retains many of the hand-made carbon-fiber components from the Exige Sport 380 including the front inspection cover, hard top and diffuser surround. The Exige Race 380 is available to order now, priced £99,500 excluding VAT ($122,723.30). Interview conducted by Edmund Jenks with Stephen Harvey after he attended the Visa Vegas eRace simulation technology promotional race licensed by FIA Formula E, using Cloud Sport virtual gaming services and Playseat driving simulators at 2017 CES (Consumer Electronics Show). Stephen runs a consulting effort that develops digital strategies producing relevant, engaging, successful online campaigns that get results. In the interview, the Formula E experience is developed and explored from firsthand attendance at two races held at the Toyota Grand Prix Of Long Beach temporary street course track then explores the simulation race-off on the floor at 2017 CES trade show in Las Vegas. The main business aspect of the event was to tie together the world of eSports and the motorsports world. eSports are going to be huge with lots of money pouring in starting right now. This year you will see an explosion in eSporting events and prize money involved. Also, big brands (ie VISA) are recognizing that eSports are an up-n-coming market that they can get in with on the ground floor. Gamers have money and the gaming community is quite large. SMCLA actually had a panel event a few months ago about eSports and how they are on the cusp on being huge. It was likened to how MMA and X-Games were a few years ago and then just took off in popularity. This explanation of event sensation without skin-in-the-game consequence is the imagined state of what a driver may feel as he, or she, competes in a virtual reality "program and display" world. Using the drivers and branding of FIA Formula E combined with the sponsorship of VISA, the credit card company, using Cloud Sport virtual gaming services, and Playseat driving simulators to promote virtual racing is an interesting proposition, in that electric car racing platforms present a pretty large conceptual change in a fan's attendance to the racing experience already ... it just isn't the over century old form of traditional propulsion vehicle racing. With the concept of virtual reality vehicle racing, we are treated to an experience void of real vehicles, propulsion via any energy deliverance means. Further, if one isn't familiar with just who is piloting the images that appear on a large screen in real time, an opportunity for a large disconnect between the competitive event and the consuming FAN can take place to the determent of the actual value of competition (no matter the prize money amount) in the first place. Over time, degradation to "Racing" in general can become a real problem to motor culture overall - as in ... "Who Cares?"! The popular Touring Car categories in the Pirelli World Challenge put on quite a show in 2016. It was some of the best sedan racing in North America. Last corner passes for victories, four and five-wide battles into the first turns and bumper-to-bumper drafting for consecutive laps made up the 12-race TC, TCA and TCB competition. And the 2017 season is expected to produce more cars and better action in the TC classes. That wasn’t the case a few years ago in the TC divisions before the PWC Competition and Technical departments revamped the rule books and presented a new TC look to the auto manufacturers and racing teams. Now the Touring Car paddock is booming. Over 40 TC machines and drivers started the two season finale races last October at Mazda Raceway Laguna Seca and the racing continued in sensational style including series titles coming down to the last checkered flag. Variety was a key to TC racing in 2016 with a BMW (Toby Grahovec) taking the Touring Car crown, a Mazda (Elivan Goulart) winning in TCA and a Honda (Tom O’Gorman) scoring the championship in TCB. In 2016, Gill recruited long-time racing executive Jim Jordan to join the Pirelli World Challenge staff as Manager of Business development including the expansion of the Touring Car ranks. With cars like the BMW M235iR, Mazda MX-5, Nissan 370Z, Honda Accord and Porsche Cayman in the TC action, Jordan believes the Touring Car contingent can produce one of the premier classes in motorsports. The direction of the top class of Touring Car is changing too. Jordan sees an influx of new machinery into the TC divisions including the TCR vehicles like the Audi RS3 LMS and the Honda Civic Si in TCA. “We plan to put the “touring car” back to the Touring Car class at the upper end,” said Jordan. 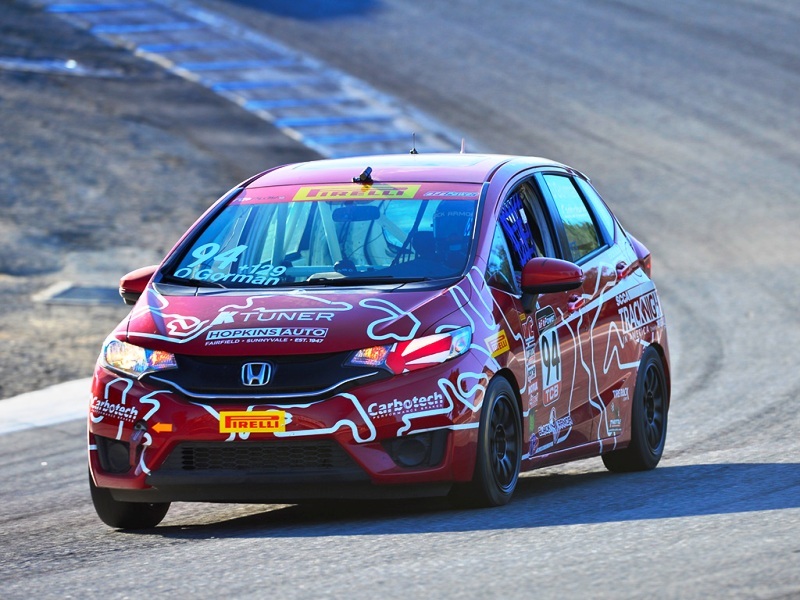 “In the TCA class, we’re keeping it an entry level class and we’re going to keep where the competitors could run popular cars in the marketplace. That also will include the ND Mazda MX-5 Cup Car. PWC explains that it wants cars to be commercially available in that body style in the U.S. for TC competition. 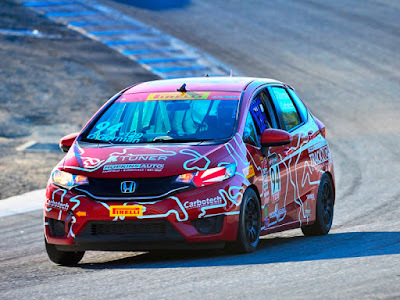 “Several manufacturers already build cars for the TCR category,” explained Jordan, “including Ford, Volkswagen, Honda, Audi, Alfa Romeo, and Subaru, along with several brands that don’t sell their cars in the U.S. We can’t absorb those cars immediately in current Pirelli World Challenge regulations, but they will be in their own sub-category in PWC beginning in 2018. Jordan also emphasized that manufacturers can bring many things to the TC divisions including ready-built race cars like the BMW M235iR this year that Grahovec drove to winning the TC title. The new generation of Touring Car in the Pirelli World Challenge has gained strong interest from racing fans as well. With the extremely-competitive on-track product and the new TC models coming to PWC in 2017, the TC classes will continue to engage in some of the best wheel-to-wheel action in all of motorsports. 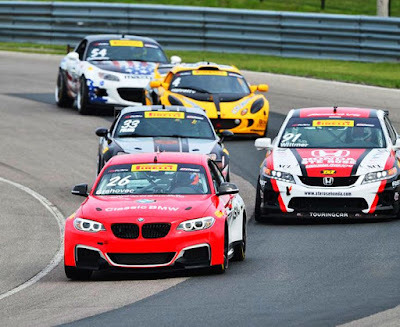 The opening doubleheader for the 2017 Pirelli World Challenge Touring Car divisions is set for April 28-30 at VIRginia International Raceway at Acton, Va. Those two rounds will be televised on CBS Sports Network on a taped-delayed basis. Five-time Rolex 24 At DAYTONA champion Scott Pruett shows us around the garage and answers questions! 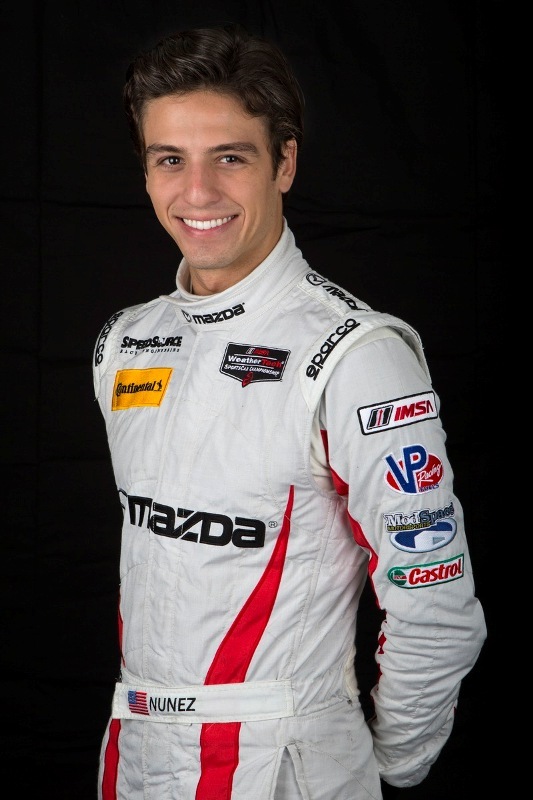 For the Rolex 24 and the entire IMSA season, Pruett will be joined by former Indy Lights champion Sage Karam in the No. 14 Lexus RC F GT3 of 3GT Racing, which is being tested this week in the Roar By The Shore. 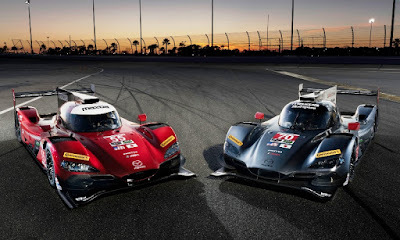 This will be the brand’s first team partnership in North America since 2009, when Pruett won two Rolex 24s and 22 total victories with Grand-Am Road Racing. The 24 hour race starts Saturday, January 28th. 3GT Racing will field two cars in the GTD class — the No. 14 car with drivers Sage Karam and Scott Pruett, and the No. 15 car with Robert Alon and Jack Hawksworth. The 3GT Racing organization led by team managing director Paul Gentilozzi. Additional drivers for both cars, for the twice-around-the-clock Rolex 24 endurance classic, have yet to be announced. 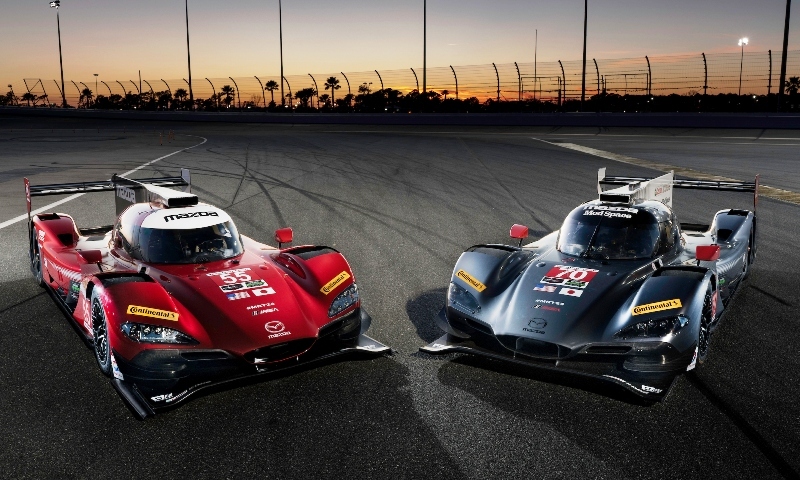 The two-car Mazda Prototype team has confirmed the driver lineup that will compete in the top category of the 2017 IMSA WeatherTech SportsCar Championship. For the third consecutive season, the drivers for the full 10-race championship season are Jonathan Bomarito, Tom Long, Joel Miller and Tristan Nunez. 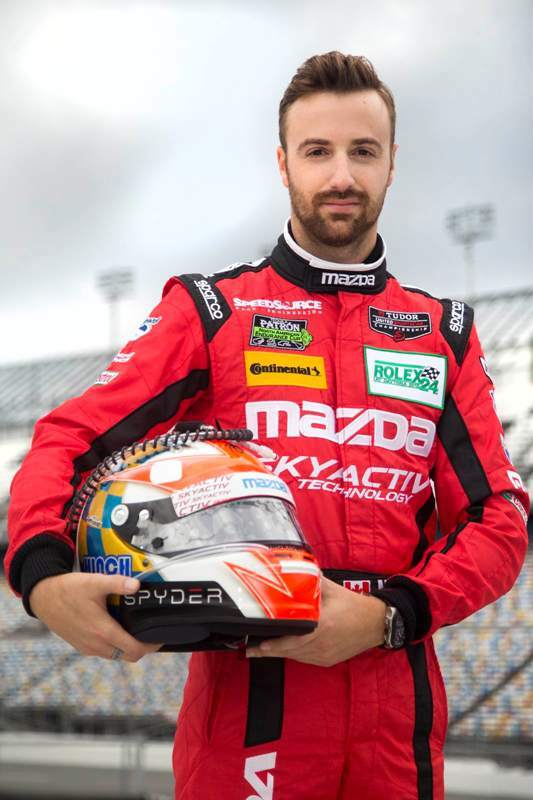 For the season-opening Rolex 24 at Daytona, Verizon IndyCar Series drivers James Hinchcliffe and Spencer Pigot will join the driver lineup in the all-new Mazda RT24-P race cars under the new Daytona Prototype international (DPi) rules. 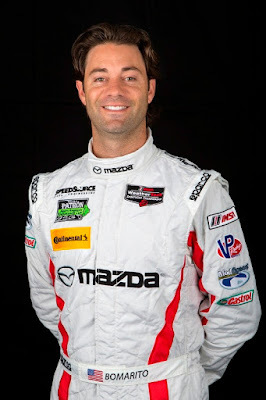 JONATHAN BOMARITO - Mazda Motorsports. 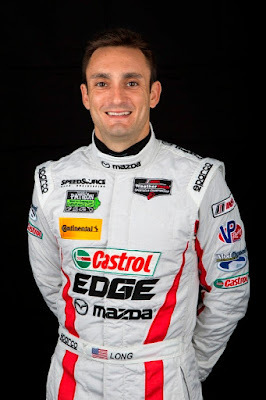 (Twitter: @JBomarito) Bomarito won the 2010 Rolex 24 at Daytona in the GT category, driving a Mazda RX-8 for SpeedSource with co-drivers Sylvain Tremblay, David Haskell and Nick Ham. Bomarito, who grew up in Monterey, Calif., won the 2003 USF2000 open-wheel championship, was a race winner in the Mazda-powered Atlantic Series, raced at Le Mans and nearly won the 2014 IMSA GTLM drivers championship before his stint in the Mazda Prototype. This is slated to be his 11th start in the Rolex 24. JAMES HINCHCLIFFE - Mazda Motorsports. 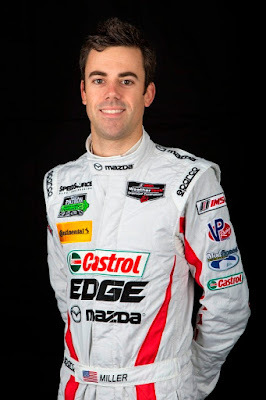 TOM LONG - Mazda Motorsports. 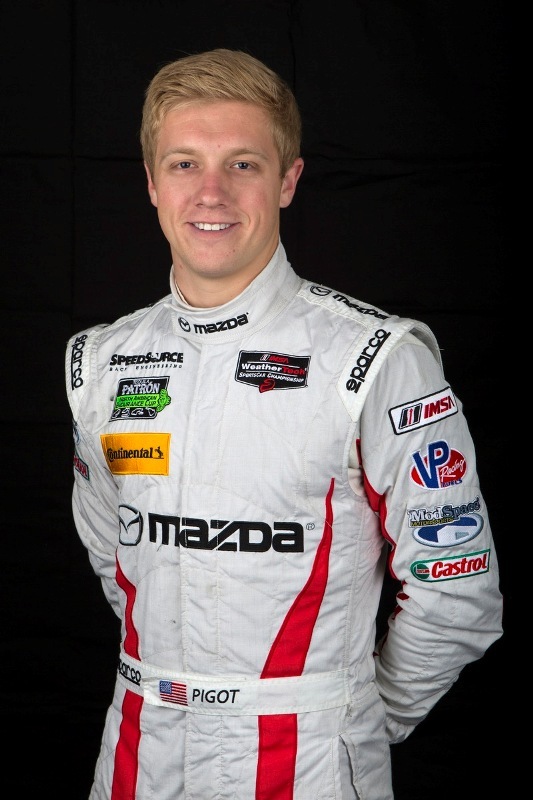 "I'm so excited to get the upcoming season kicked off at Daytona with our brand new Mazda RT24-P! 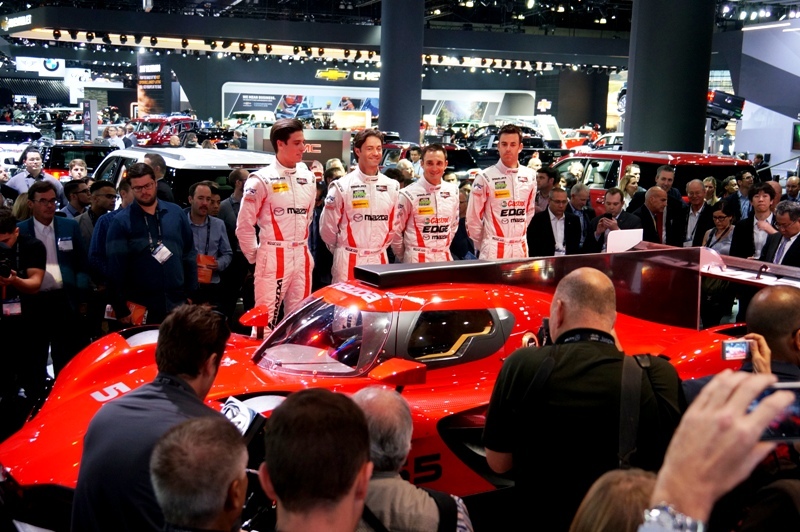 The anticipation has been building for Mazda and the entire team since unveiling the new DPi platform at the Los Angeles Auto Show. With the launch of the new Prototype era for IMSA in 2017, the field this year will be sure not to disappoint. The team has been working so hard to get our Mazdas prepared for the drop of that green flag, it's been incredible to be a part of. We're also thrilled to welcome back Hinch to our driver lineup this year!" 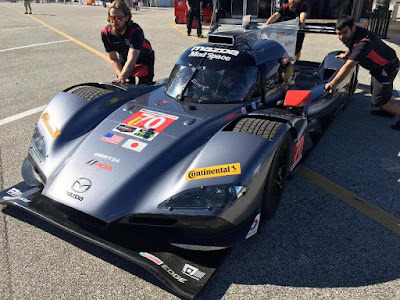 JOEL MILLER - Mazda Motorsports. 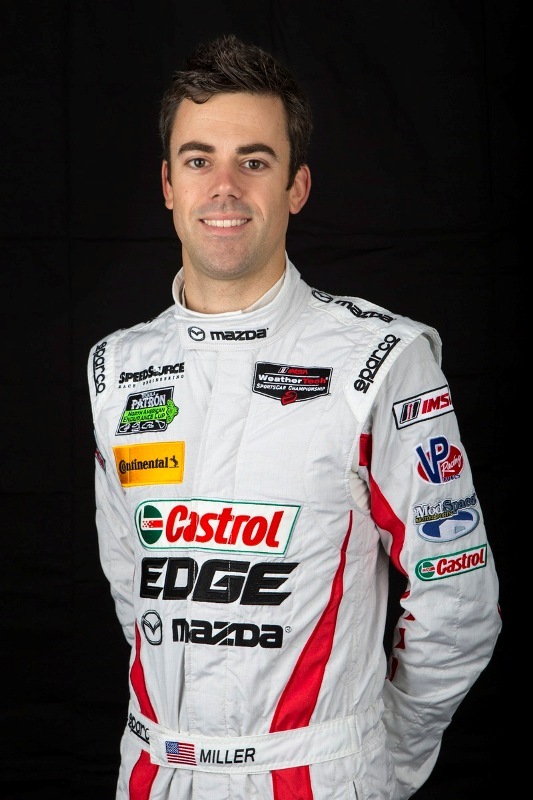 “Being back with Mazda in the new RT24-P is fantastic and I’m very fortunate for the opportunity. Being back together with Tom Long in the No. 70 will allow us to focus on the learning curve of the new car rather than anything else. The new platform presents an equal playing field and good opportunity for teams with the right preparation to shine. I look forward to working hard with Mazda Motorsport on our preparation with the new Mazda RT24-P DPi." TRISTAN NUNEZ - Mazda Motorsports. 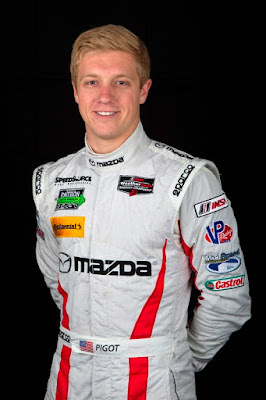 SPENCER PIGOT - Mazda Motorsports. On New Year's Day, INDYCAR released the fourth chapter of its "Racing Heart" advertising campaign designed to kick off the 2017 Verizon IndyCar Series season. Following three consecutive years showcasing the thrilling traits of the sport, INDYCAR's communications in 2017 will feature the next exciting chapter of on-track action, the next drivers to watch, the next technology and innovation. The theme "NEXT" builds upon the successful season concepts "RIVALS," "SPEED" and "LEGENDS." With the turning of the calendar, a brand video teasing the new communication plan was shared via social and digital media. "We're confident and focused on INDYCAR's future," said C.J. O'Donnell, chief marketing officer of INDYCAR and Indianapolis Motor Speedway. "The theme 'NEXT' will effectively deliver our message of continued growth and expresses the momentum our sport has experienced the last three seasons." INDYCAR's growth since 2013 has been highlighted by a 55 percent increase in overall television viewership across all Verizon IndyCar Series broadcasts on ABC and NBCSN. The series also has experienced increases in event attendance, including six record crowds during the 2016 season. 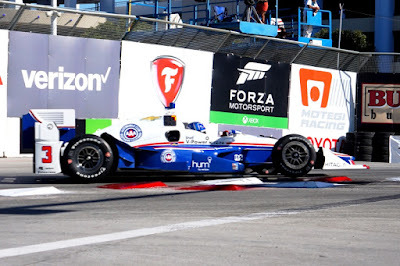 The theme "NEXT" was developed for the upcoming Verizon IndyCar Series season in cooperation with brand agency partner Johnson & Wolverton and will be prominent in television, digital, print, radio and social platforms. The theme also speaks to INDYCAR's expanded audience reach. INDYCAR's success as the fastest-growing form of motorsport in the United States today has come through embracing its core audience, fans who have loved Indy car racing for decades. Studies show the brand attributes of the Verizon IndyCar Series - the speed, sound and thrilling nature of the sport - also resonate with the next generation of fans and that youth movement allows INDYCAR to expand its target audience to Gen X and Gen Z like never before. The initial emphasis will be on 2016 series champion Simon Pagenaud and new American star Alexander Rossi, the winner of the 100th Running of the Indianapolis 500 presented by PennGrade Motor Oil this past May. Plus, there will be excitement for driver/dancer James Hinchcliffe, Josef Newgarden, Ryan Hunter-Reay, Will Power, Graham Rahal and several other bold drivers. INDYCAR will use the excitement emanating from the next century of Indianapolis 500s at every event across the 17-race season, including the next track to join the momentum: Gateway Motorsports Park near St. Louis. The Verizon IndyCar Series schedule begins March 12 with the Firestone Grand Prix of St. Petersburg and will be highlighted by the 101st Running of the Indianapolis 500 Mile Race on May 28.